Mottainai Lamb Racks are mild and buttery with a sweet aroma. 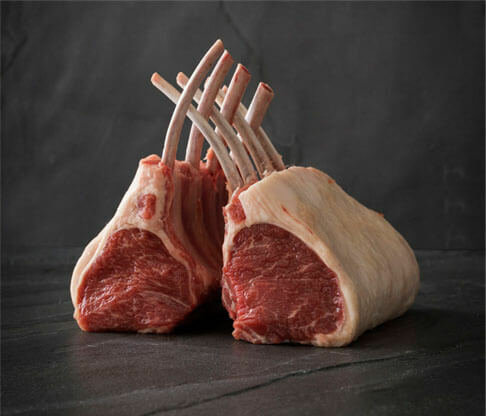 Renowned for its clean taste, Mottainai Lamb Racks are tender with fine bones coming from young well grown lambs. Best suited to roasting or cut individually and grilled. Healthy oleic and omega-3 fats are intensely marbled throughout. 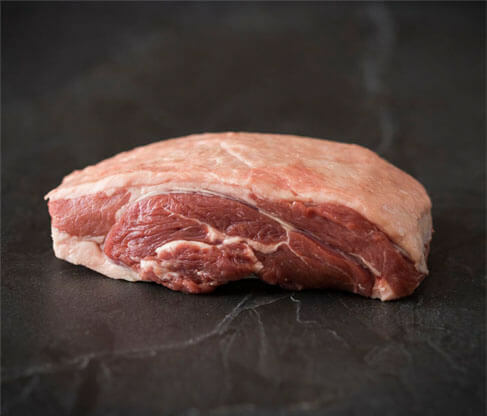 The Short Loin can be cut and served as grilled juicy chops, a tender loin roast or dry-aged for your own special creation. Mottainai Lamb Sirloin is tender lean meat. Well suited to roasting with no need to truss it can become a signature dish. 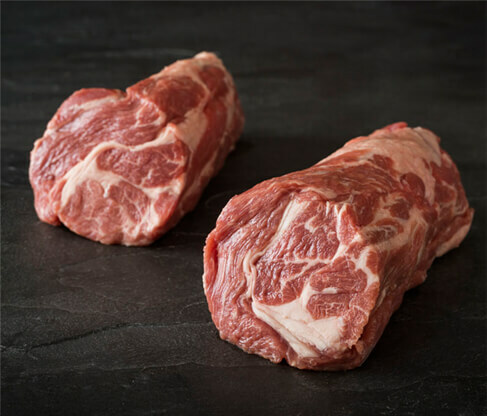 The Sirloin of Lamb is perfect for thin slicing for yakiniku or hot pot dishes. Mottainai Lamb Rumps are big and succulent because carrots and olives make our lambs healthy. 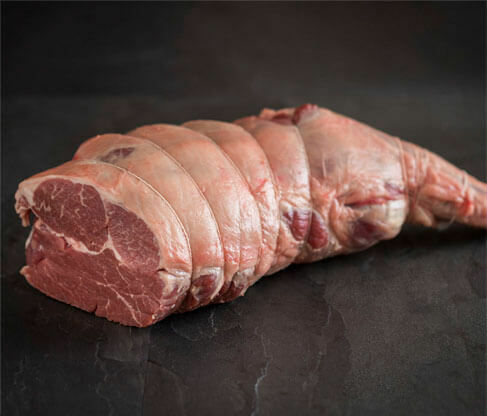 Lamb rumps have a fine firm texture perfectly suited for grilling or roasted whole due to the slight fat coverage that keeps the juices within. 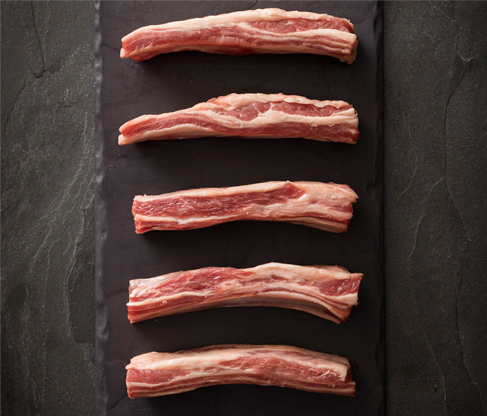 Mottainai Lamb Ribs are a delicacy rarely found with this level of tasty intramuscular fat and delicious soft meat. They can be grilled allowing the fat to crisp or braised. The tender meat will melt in your mouth. 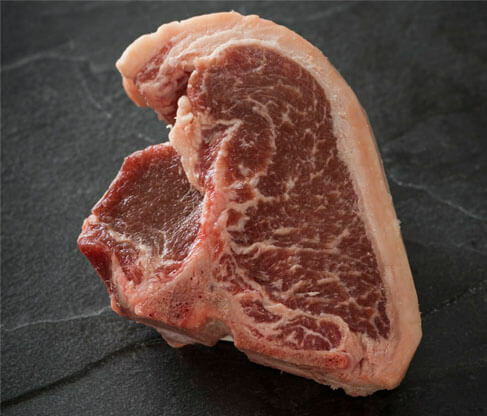 Mottainai Scotch Fillet is intensely marbled. It is an extension of the rib-eye fillet to the front of the lamb. It is well suited to thin slice Japanese cooking styles, or you can produce an incredible braise. Mottainai Lamb easy-carve legs are boneless but for the hind shank that remains for extra flavour. With slight fat coverage to keep the juices within it is easy to season and truss by lifting the cap. Portion Size: 1.25kg/ 2.8 lbs. 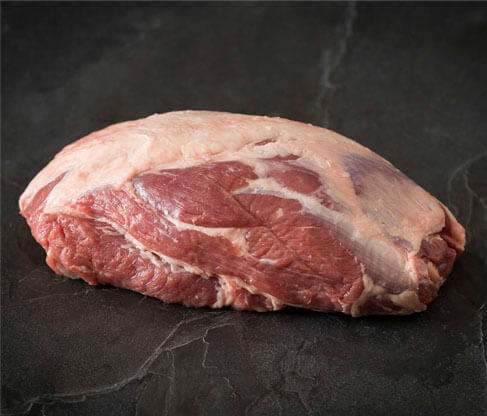 Mottainai Lamb Boneless Shoulders are marbled throughout with healthy oleic and omega-3 fats making the meat extremely tender. This versatile cut can be braised, diced or as a tender roast to produce an exquisite dish. Portion Size: 0.5 kg/ 1.1 lbs. 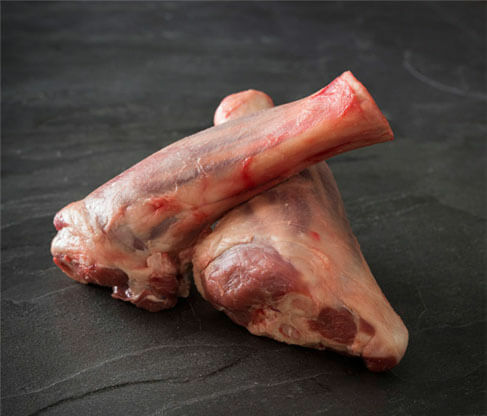 Mottainai Lamb Shanks are fine boned coming from young lambs. 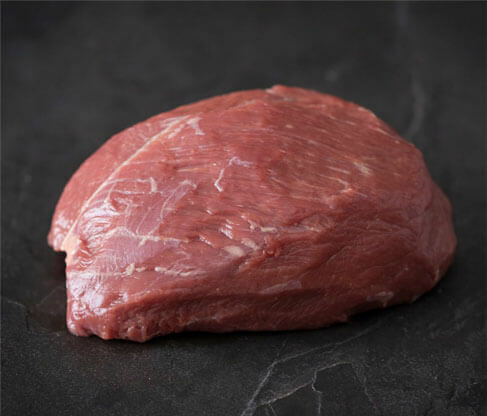 The healthy fats produce a mild sweet flavour in the meat that literally falls apart tender when cooked. Best suited to braising.